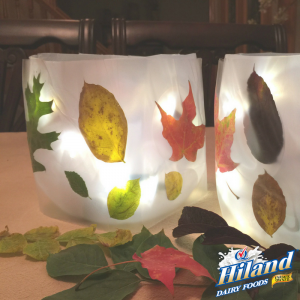 Grab your empty Hiland Dairy milk jugs and get your glow on! These adorable leaf luminaries are so easy to make yet so pleasing to the eye. But you’d better hit the nature trail soon before the colorful fall foliage makes way for the first frost. Rinse jugs and remove labels with warm, soapy water. Allow to dry completely. Using scissors, cut the top off of each jug. 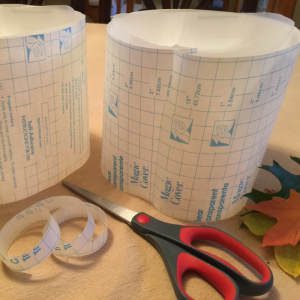 Measure out a strip of contact paper to wrap around each milk jug. Tip: Be sure to overlap a little at the ends. Peel off the backing of the contact paper and arrange the leaves facedown. 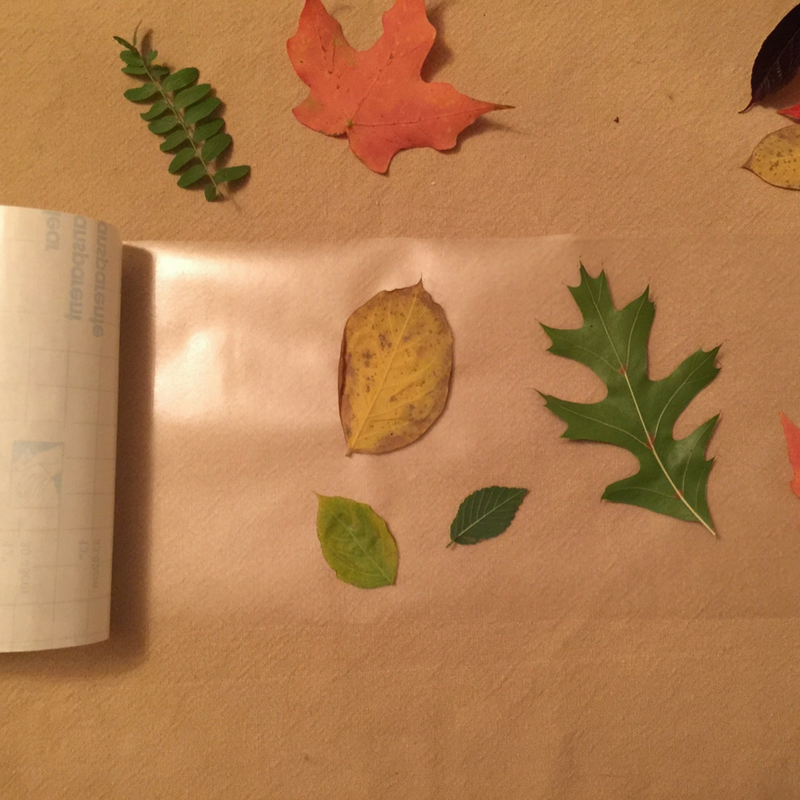 Tip: Leave some room between the leaves to allow the light to shine through. 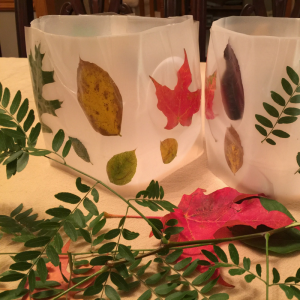 Wrap your leaf-designed contact paper around each milk jug, with the leaves facing outward, and smooth the contact paper with your hands to be sure it completely sticks. Lightly crinkle up a piece of tissue paper for each milk jug and loosely wrap the lights around the ball. 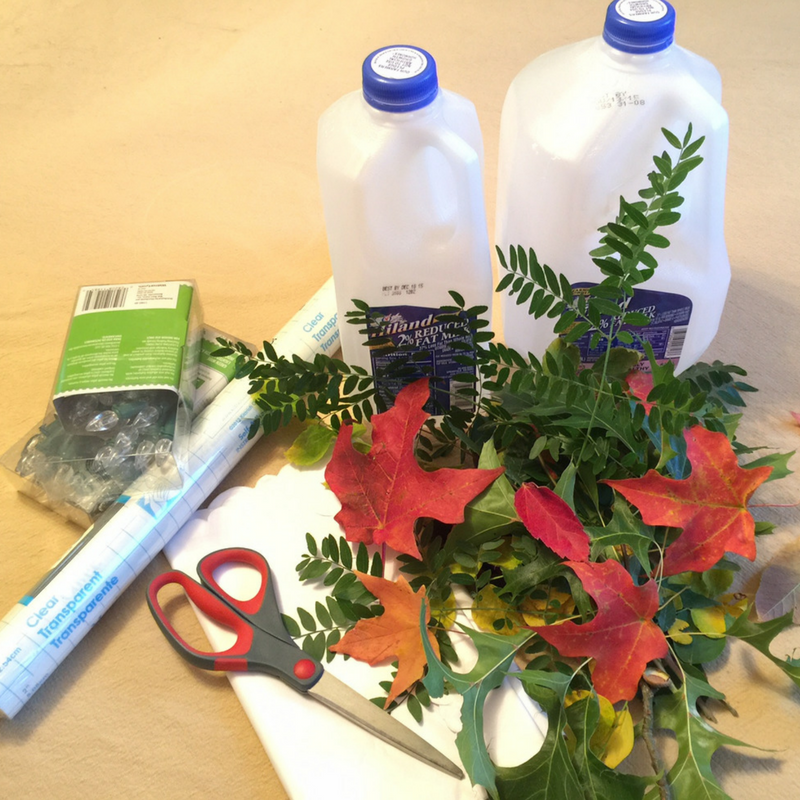 Turn on the lights and place the ball into the milk jug (yes, it’s that easy!). You can use colored lights for a more festive look. You’ll get glowing reviews from your guests!